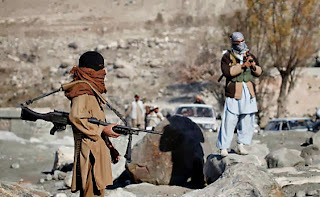 To demonstrate its ability to disrupt the polls, the Taliban fighters overran Kuran-o-Manjan District in the relatively peaceful Badakhshan province over weekend, prompting the Interior Ministry to promise that necessary preventive measures would be taken ahead of elections. Three of the seven districts in an eastern Afghan province is under the control of Taliban insurgents, who cut off to the provincial capital, an official said Wednesday, warning of a humanitarian disaster if the government does not act soon. "The insurgent activities have doubled since the foreign troops pulled out last year from the province," said Bahand, who was in the Afghan capital to plea for support. This comes after a senior Afghan lawmaker revealed that American forces are giving military aid to Taliban militants active in the troubled region. Zalmai Zabuli added that American helicopters have delivered two shipments of small arms and heavy weapons to the militants in the Mizan district. Karzai said, the enemies of Afghanistan and the root of instability in Afghanistan lies outside the Afghan borders, where plans are being made to destabilize the country and prevent development of a better governance. The contract was awarded by Afghan government to China National Petroleum Corporation (CNPC) International and its Afghan partner, Watan Oil and Gas, began producing oil in the Amu Darya basin in the north in October. An employee of the project quoted by Reuters said, equipment at the site had now been locked up and about 16 Chinese workers had left. Sayyaf became a close ally of Saudi Arabia after converting to the kingdom's official religion, the Salafi sect of Sunni Islam. He is accused by Afghan and Western human rights organizations of gross human rights violations during Afghanistan's civil war in the 1990s. 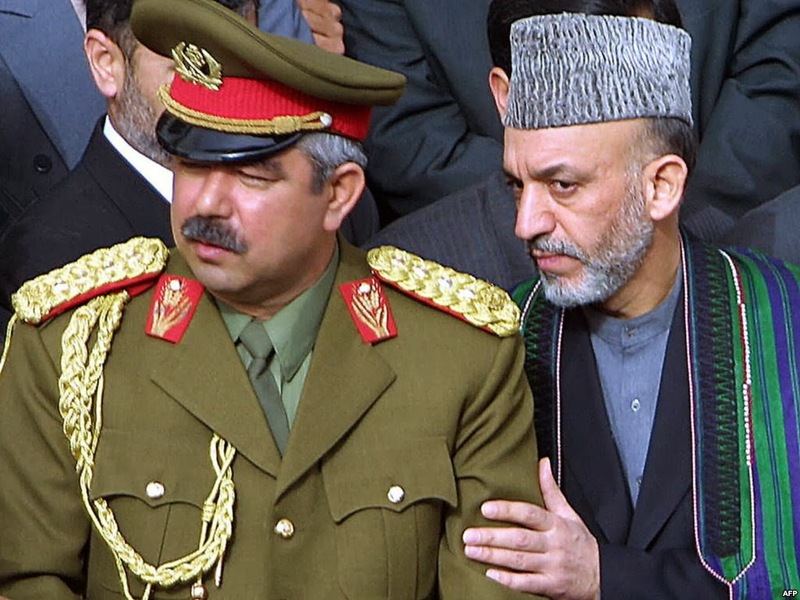 With President Hamid Karzai constitutionally barred from a third term, the presidential race is either wide open, or -- as many believe -- already a done deal. In August, Afghan news services reported that Karzai had chaired a meeting with a few of the country’s most powerful warlords to call for the candidacy of Abdul Rab Rasoul Sayyaf, intimidator of women in parliament, longtime pal of Osama bin Laden, mentor of al-Qaeda’s Khalid Sheikh Mohammed, likely collaborator in the assassination two days before 9/11 of the Taliban’s greatest opponent, Ahmad Shah Massoud -- in short the quintessential untouchable jihadi. According to NDS officials, Zakirullah was released after serving three years in prison two months back. He was once recruited as the head of the Taliban group to plot and execute suicide attacks by Taliban group representative from Maidan Wardak province in Taliban Quetta Council. NDS officials said that Zakirullah was instructed to plot and execute suicide attack against Ustad Abul Rab Sayyaf, however, he was arrested along with two other suspected militants before they carry out the attack. 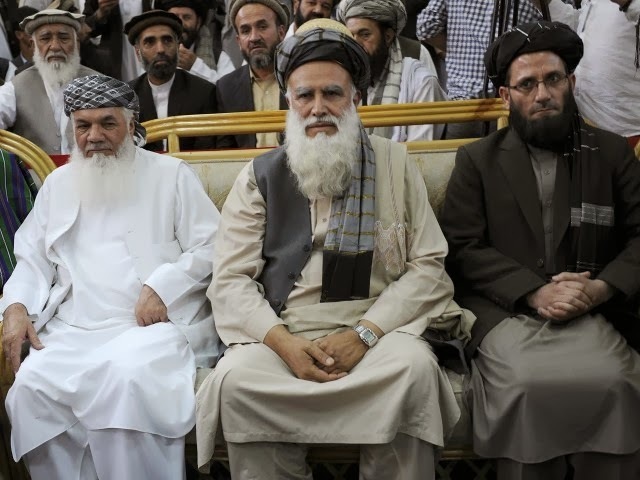 The Taliban do not like the idea of Abdul Rasul Sayyaf coming to power and have no faith in the electoral process. 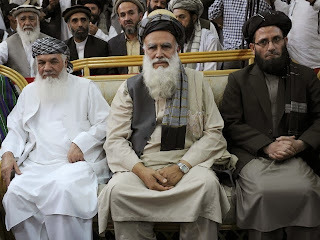 Sayyaf announced that Ismail Khan, Afghanistan's current minister of water and energy and famous warlord, will run as his first vice president. In the end, Afghanistan might see another war between former mujahideen, featuring Khan, Sayyaf and the Taliban among others. All this mess goes of course back to the "success" of the CIA's Operation Cyclone. The Central Intelligence Agency always supported the most benighted and most reactionary forces. In Syria the same script is being used and Afghanistan offers an alarming view of the future of Syriastan if the Syrian government falls. "Wahabi leaders should mind that not long ago wars were declared for even more minor issues. And while we haven't got down to it we can liquidate all centers of Saudi influence in Russia, and thanks to God, it has been intensively realized in Russia this year. And it won't take long to ban Wahabi ideology in Russia, special thanks for it to various great muftis who are not embarrassed to speak about their true intentions," Silantyev said. Bakyt Zhumadilov, 37, was found guilty of propagating extremism and involvement in "activities aimed at inciting ethnic, racial, religious and interregional hatred." The practice when terrorist organizations operate under the guise of non-governmental organizations became common, Chief of the CIS Anti-Terrorism Center Andrei Novikov said on September 25 summarizing the results of the first stage of the joint exercises “Ala-Too – Anti-terror 2013” in Bishkek. Andrei Novikov noticed that such situations require special attention. “This practice is widespread not only in the CIS countries, but also in other parts of the world,” he said. In order to check the involvement of NGOs in terrorist activites, a regulatory framework will be developed. Kyrgz MP Tursunbai Bakir uulu, a former human rights ombudsman, has recently drafted a bill that would label most of Kyrgyzstan's NGOs "foreign agents". Twenty-two of the 1,000 NGOs that were checked by the agency were classified as “foreign agents,” two of which were found to be engaged in extremist activity, while another two were shut down on terrorism charges, said Alexei Zhavyarov, the deputy head of the Prosecutor General’s Office. 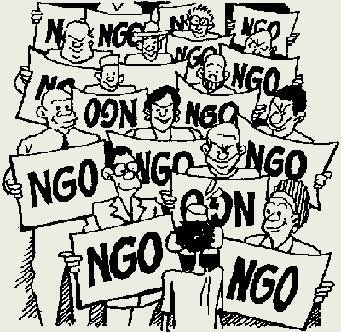 The searches will continue until all 2,200 Russian NGOs suspected by prosecutors of receiving funding from abroad have been checked, he said. He also said that 500 violations of Russian legislation by NGOs were detected and that warnings were issued to 193 organizations.